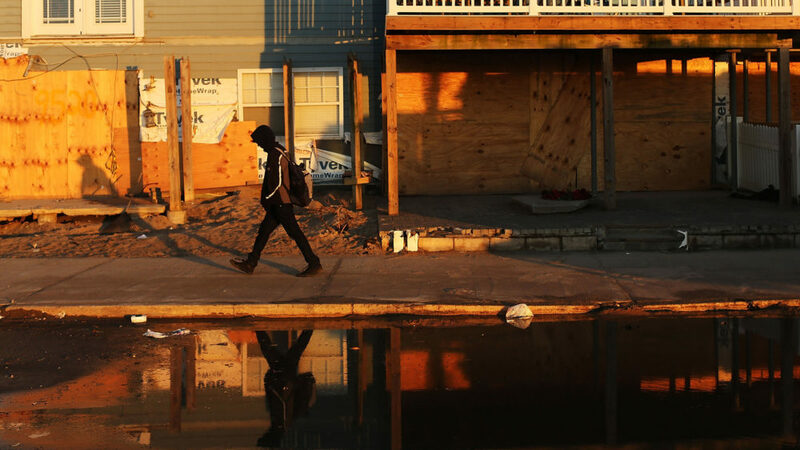 Disaster relief from the Federal Emergency Management Agency and Housing and Urban Development came to New York City communities like the Rockaways after Hurricane Sandy. Forecasters say the 2017 Atlantic hurricane season, which begins today, could bring “above-normal” storm activity. Residents along the Atlantic and Gulf coasts are making sure they have supplies and plans in place if a storm hits. This year, key federal agencies state and local governments, and the public depend on still don’t have leaders. Nearly five months after Donald Trump was sworn in as president, NOAA, the agency that oversees the government’s weather forecasting, is still without an administrator, as is the agency that responds to disasters, FEMA. At least in the case of FEMA, the Federal Emergency Management Agency, a nomination is pending. The Trump administration has named the former head of Alabama’s emergency management agency, Brock Long, to the position and a confirmation hearing is expected soon. With no permanent administrator in place for those discussions, FEMA is one of the agencies that have been targeted for significant cuts under the budget the president submitted to Congress. Under that budget, a program that helps states and communities take long-term measures to reduce losses from disasters, the Pre-Disaster Mitigation Grant Program, has been cut by more than 60 percent. The budget also eliminates funding for an ongoing effort to improve and redraw the nation’s flood maps. For states and communities hit by floods, tornadoes, wildfires and other disasters, the Trump budget slashes another important source of recovery funds. The Department of Housing and Urban Development provides money that helps communities rebuild after a disaster, after FEMA has moved on. The Trump budget cuts that $3 billion fund to zero. Cleetus says the HUD funding has been a lifesaver to communities around the country. “It was certainly used after Katrina,” she says. “It was used after Sandy. Most recently it was used last year, after Hurricane Matthew.” St. John’s County received more than $48 million from HUD after Matthew, money that’s helping rebuild roads and some of the 1,400 homes affected by the storm.